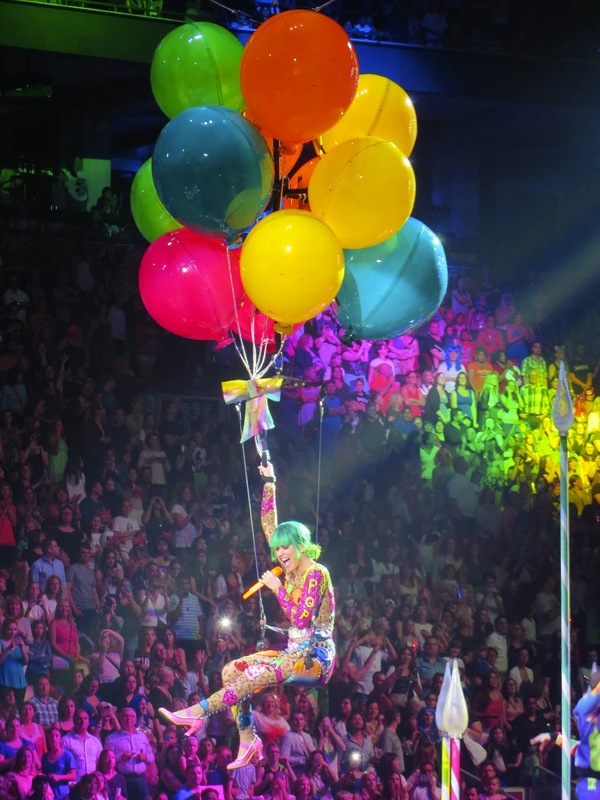 This past weekend I was lucky enough to see Katy Perry live in concert twice! The Prismatic World Tour was full of bright sets, extravagant props, incredible backup dancers, and beautiful costumes. 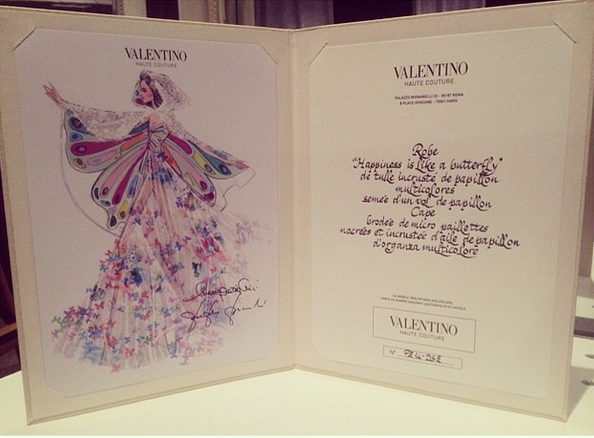 All of Katy's costumes were custom made for her tour by designers such as Valentino, Moschino, and Roberto Cavalli just to name a few. 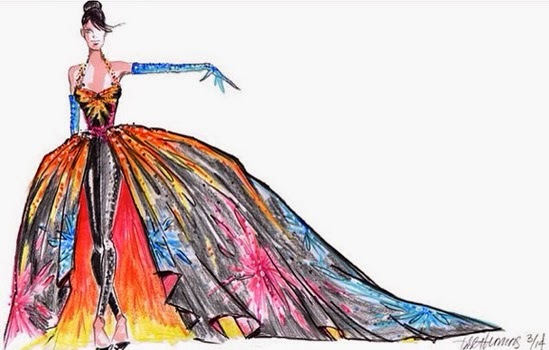 Earlier in the year, Katy took to instagram to give her fans a preview of what was to come by revealing the designers' sketches. Seeing those sketches come to life was absolutely amazing! The two hour set included almost all of her singles all the way from I Kissed a Girl to her latest song Birthday with a focus on songs from her most recent album Prism. One of my favourite looks for the night were a gorgeous Valentino gown with a butterfly cape worn for her acoustic portion of the set. The cape glittered beautifully in the light and the dress flowed gracefully across the stage. The other standout fashion moment was the beautiful ball-gown skirt and jumpsuit adorned with bright and colourful fireworks for the encore of her inspirational hit Firework designed by Todd Thomas. The dramatic outfit was the perfect end to an amazing night! As Katy's outfits changed throughout the night so did her hair. She wore several wigs during the show including a multicoloured pastel wig, but her famous blue wig never made an appearance. In the middle of the concert she took some time to talk and interact with the crowd even handing out a hawaiian style pizza to young fan who turned out to be a vegetarian! Overall the show was a spectacle of lights, glitter, and of course great music! Katy truly puts on a fun and exciting tour and never leaves her fans disappointed. Check out some of the photos from the night below!